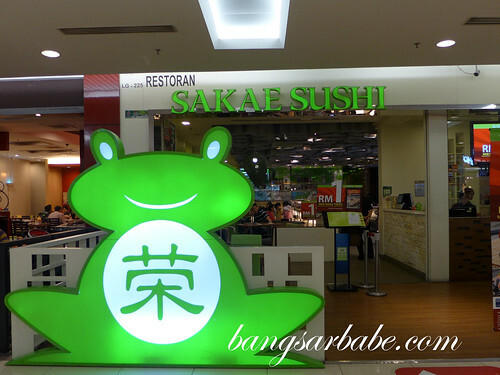 Sakae Sushi used to be one of my favourite places to go to for reasonable Japanese food. 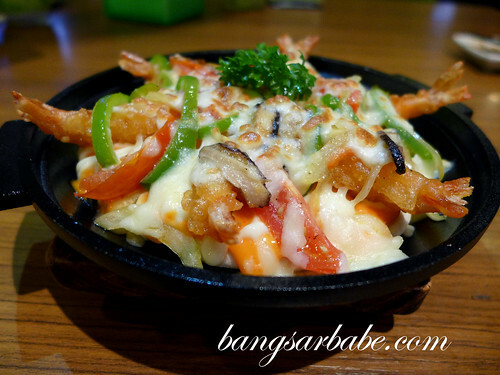 When it was in Bangsar Village (now Senjyu) I dined there at least 3-4 times a month. Even back then, they were ahead of all the other Japanese chain restaurants when it came to technology and new menu items. 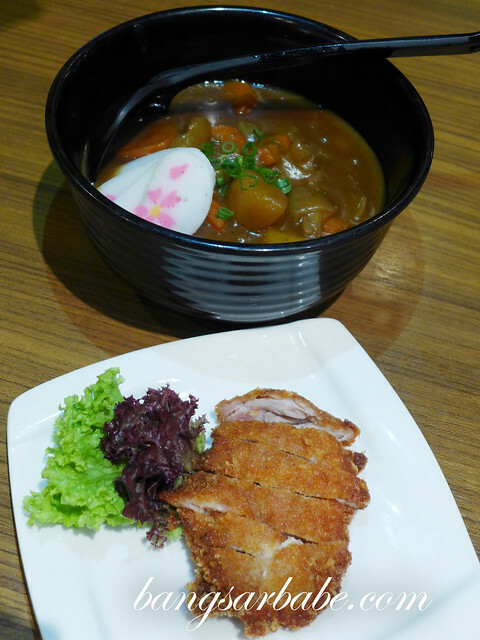 This July, Sakae Sushi launched its 2013 menu – said to be the best and most extensive menu to date. I was invited to sample these new delights, starting with the fresh salmon (RM10.90 for 5 pieces). Freshly flown in the day before, the salmon was thickly sliced with a butter-rich aftertaste. The sashimi salad (RM25.90) was a pretty play of colours and textures. 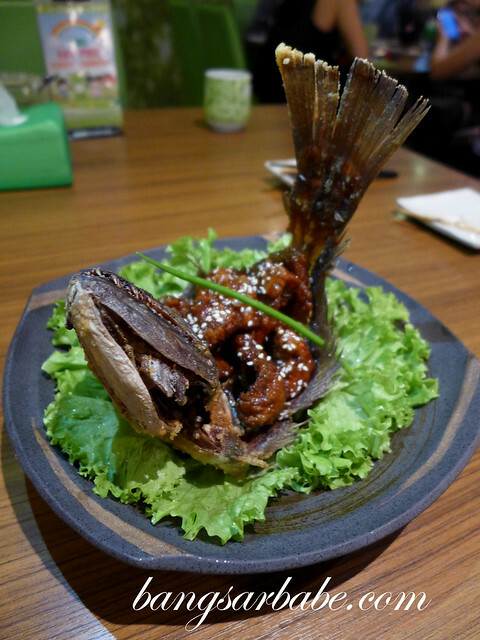 This composition of assorted fish slices, crunchy vegetables and Sakae’s specialty wafu sauce hit all the right notes. Also lovely was the nama hotate mentai (RM9.99). 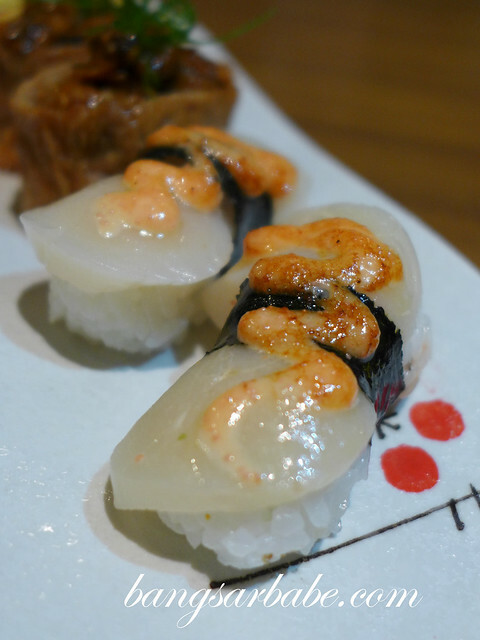 The scallop was half-grilled and topped with luscious mentaiko roe – sweet, creamy and oh-so good! 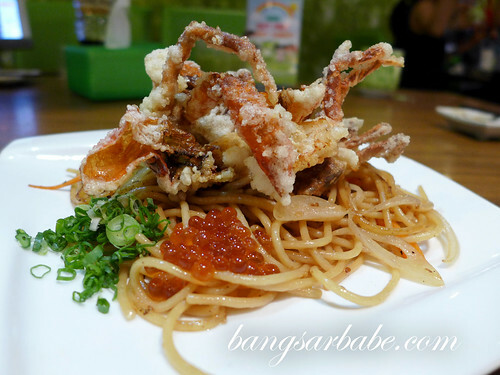 The Hokkigai gold (RM5.99) comprised a large sliver of surf clam with caplin roe. I found the texture most interesting – the clam was lightly chewy with a crunchy feel from the roe. The spicy Tsubugai (RM5.99) was a sweet-spicy combination of sea snails in rice and beancurd sheets. This was tasty too. 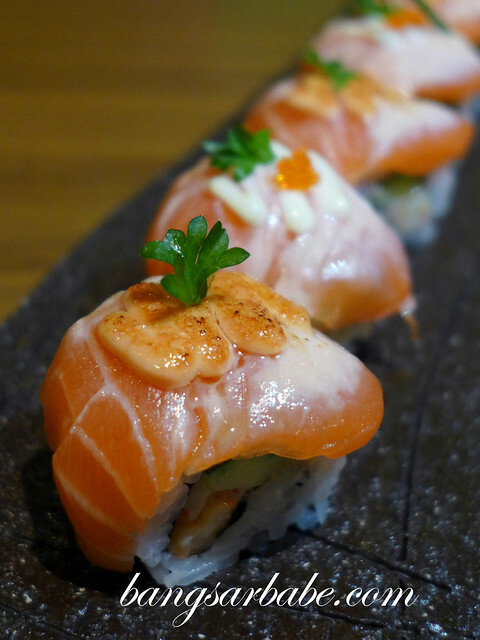 Another winner was the lobster and salmon roll (RM26.90), a hearty dish of salmon, lobster salad, flying fish roe, mayonnaise and Japanese cucumber. In conjunction with the new menu launch, diners who spend a minimum of RM30 in a single receipt get to enjoy a selected sushi dish for just RM1. 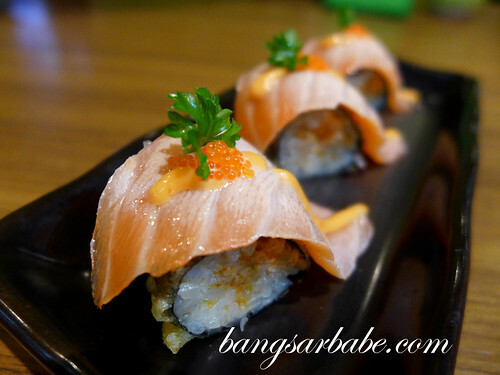 The zesty salmon maki (RM7.99) was the RM1 dish that night. This was mildly spicy from the spicy salmon filling, and the half-grilled salmon slice on top was as delicious as it looked. I also liked that the chef fried the maki roll for added crunch. 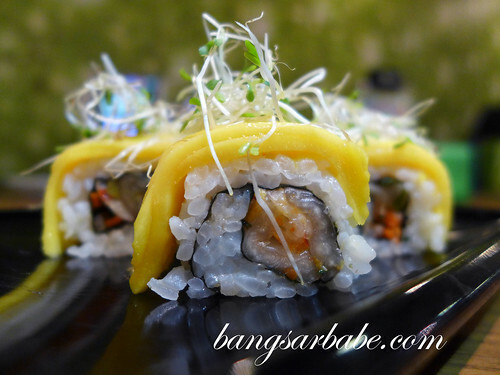 From the Veggie section, I tried the kimchee & mango maki (RM3.99) and found it to be delicious. The sweetness of the mango played well against the bold kimchee – a great option for vegetarian diners. I thought the salmon asparagus yaki (RM15.90) tasted quite decent, but preferred the Karei fish (RM25.90) — nicely presented and big on taste. The seafood pizza (RM18.90) boasted toppings of mini tempura prawns, crabsticks, shitake mushroom, green pepper, onion, mozzarella cheese and spicy mayo. Great for the adventurous. I also checked out the chicken katsu curry udon and soft shell crab pasta from the regular menu. Both were tasty, but my favourite was the chicken katsu. 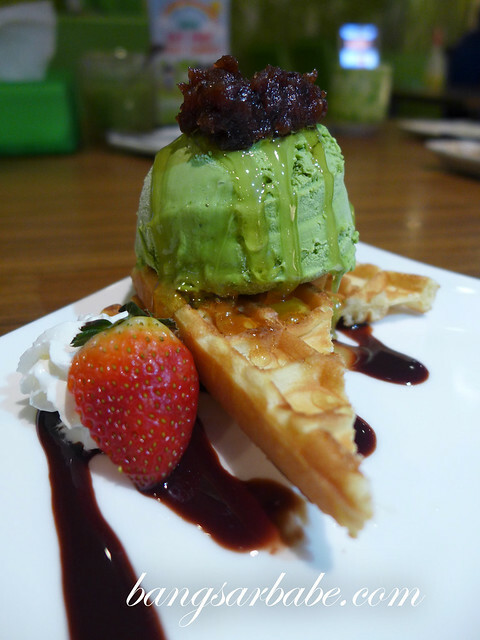 Dessert was a simple waffle with Matcha ice cream (RM9.90) – a good end to a sumptuous meal. And I got to take pictures with the Mascot. 🙂 🙂 Thank you Sakae Sushi, for the kind invite! 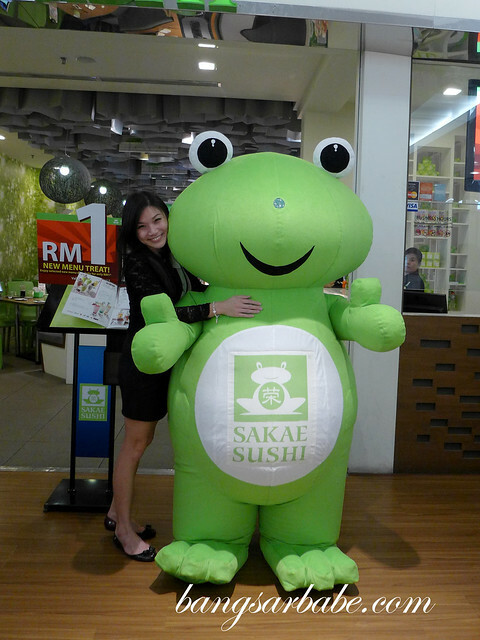 For more information, visit Sakae Sushi’s official website here. 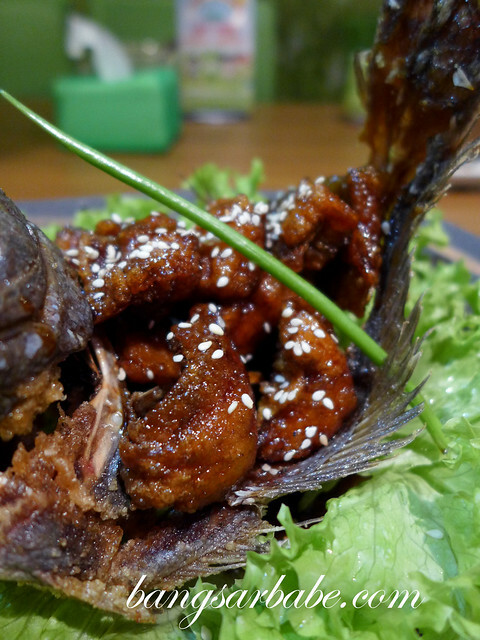 Also, “Like” Sakae Sushi on Facebook and follow them on Twitter. 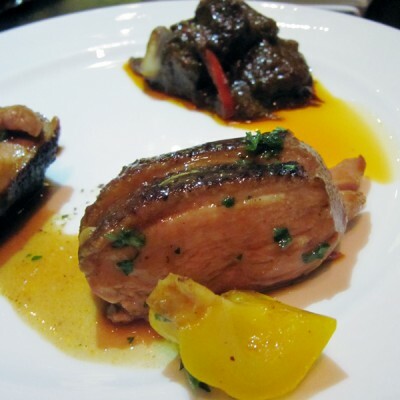 Verdict: Pretty good food and reasonable prices!